Tomorrow is the first official day of fall and as always I love to re-post my favorite fall recipe — pumpkin dip! 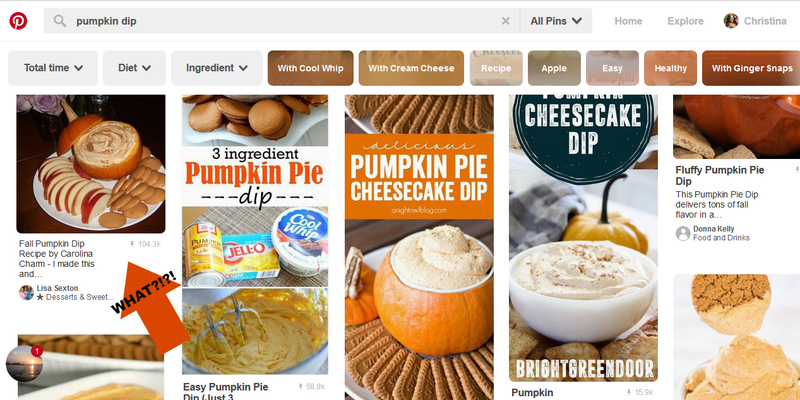 It blows my mind how my original recipe post from 2012 is still the #1 result for pumpkin dip recipes! You can find the printable version of my recipe here. And to practice for her future cooking show I took a ton of snaps in SnapChat and loved them so much that I saved them all and uploaded them to iMovie. It was super easy to throw together and is a video I’m so glad we’ll have forever! Oh my goodness how precious is little (BIG!) Caroline? I haven't made this but I love your pumpkin bread recipe and make it constantly this time of year! So easy and delicious!! Loved seeing her video on insta….it was so cute!!! Every Fall I say that I am going to try this recipe and I forget lol I am DEFINITELY trying it this year!! Looks delicious!! One of our favorites! Yum! I have yet to make this but every single year I tell myself I'm going to! I really am going to make it this weekend!